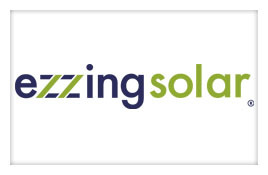 Addquity investment company, through Addquity Growth Capital, has agreed to enter into a capital investment deal with EzzingSolar, a company created to answer technological demands in the Photovoltaic sector. EzzingSolar’s goal is to fill this niche and provide PV companies with a new solution that optimizes their businesses, providing not only an online platform, but also a new approach for managing the daily activities of photovoltaic companies. The ezzing team led by Alberto Cortes and Victor Sancho, its founders, has accumulated extensive experience in the industry for many years. This know-how has enabled them to offer unique value-added solutions to companies in the photovoltaic sector. EzzingSolar develops its commercial activity in international markets. The platform is already being used by companies in countries such as Belgium, Holland, Italy, The United Kingdom, Chile and Mexico. Like with its other investments, the addition of Addquity brings with it not only financial support, but also advising and consulting expertise to move the business forward. Addquity Growth Capital materializes with this capital investment the third participation in a company, following the financial expansion that began in August 2012.